Greetings to you, dear reader, user of mobile gadgets: smartphones and tablet computers based on the wonderful operating system - Android (android). In today's material we will touch on the topic of books, namely, we will select a good reader (Reader program) to open PDF files on your mobile device. So, before we go to a selection of three, in my opinion, the best tools, I will give some help on what PDF is and how it says: “what do they eat it with”. PDF— format of e-books, developed and subsequently popularized by Adobe. At the moment is one of the most popular formats of electronic books. In this format, you can find both regular books and focused guides. Due to the fact that all elements of the document (texts, fonts, pictures) are “sewn up” into one file, which can be opened not only on a personal computer, but also on most smartphones and tablet computers, the format has become very popular. Functionality. It seems to me that an application that claims to be a good PDF Reader should not only be able to open PDF files, but should also allow you to fully work with it. For example: the application must implement the cataloging function, in order to conveniently sort the available books, the application must also support bookmarks, notes, etc. All these small, at first glance, possibilities make the regular Reader a good reader. Ease of use. Agree that it is always pleasant to work with a simple, but at the same time functional application. If an application be at least a thousand times functional, if it is impossible to work with it due to its complexity and complexity, then no one will work with it. I also put this point “at the forefront” when selecting a good Reader application. Appearance. Of course, it’s possible to argue as much as you want about a good, functional application. I think I need it. It is always a pleasure to use something really beautiful. Why should PDF Reader be an exception to this rule? So let's not take the time anymore and proceed to the TOP selection. Each application described in the article is accompanied by a link to this application in the GooglePlay mobile store.. In order to immediately download the selected application to your Android (Android) mobile device - a smartphone or tablet computer - you need to follow the suggested links directly from it. The possibility of cataloging all available in the program PDF books and documents. With this tool you can conveniently sort the available books. In addition to supporting the PDF format, the application supports the DJVU format, which, you see, will not be superfluous. The ability to add annotations to the text, which, in turn, can be added by hand, that is, to draw. The link to the application is located above. In order to download the application, as I said, I recommend to follow the link from the device to which you intend to install the application. It is possible to open PDF books stored on your SD card. It seems to me that this feature is very useful, given the fact that some applications do not know how to do this. Cataloging books. Like the previous application, ezPDF Reader - Multimedia PDF is able to create book directories. It is very convenient for systematization and ordering of available, at your disposal, books. Of the additional features of the program, I want to note the support of the ePub format. It is also one of the popular e-book formats. Link to download the program ezPDF Reader from Google Play is above, you can download it. The application runs fast enough. 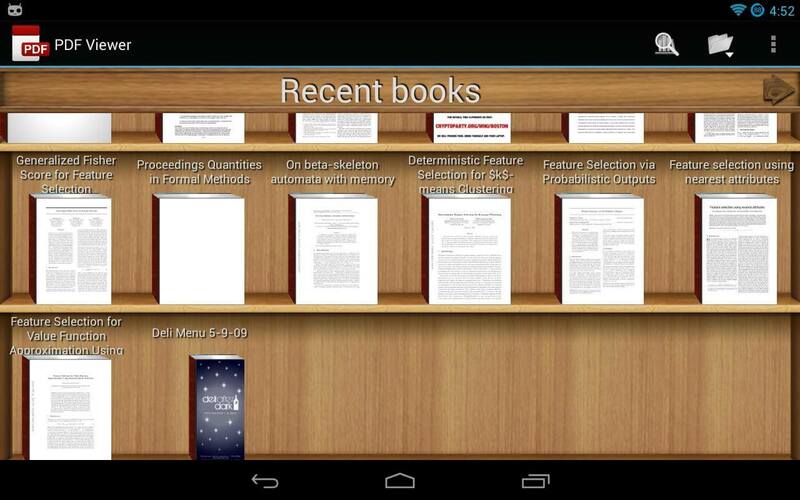 It is possible to read voluminous books from the Internet without downloading them to your Android (android) gadget. Directory support for organizing books. You can download the application for free at the link above. Today, this is all, I hope you have selected a suitable Reader for yourself, and you have decided which reader is the best. I would be grateful if you leave your comment on this article. In order to leave a comment, use the comment form from the social network Vkontakte, which is located below this text. In order to leave comments you need to log in (in a simple way - to log in to your profile) on this social network.